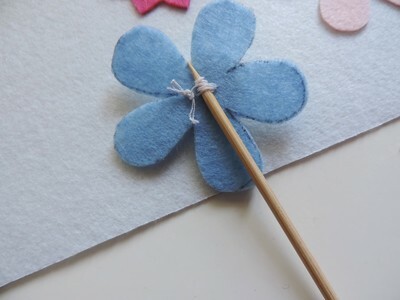 Here is a pretty flower decoration to make with the young ones. 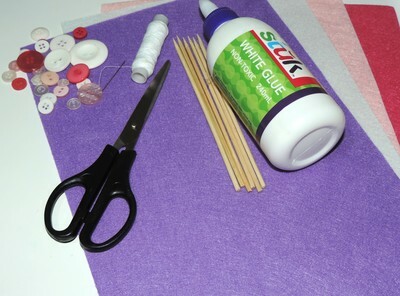 This craft will not only bring some colour to any room during this winter season, but also be an fun and basic way to teach how to sew buttons. 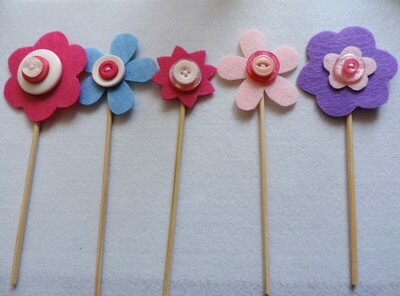 First, choose the flower templates that you would like to use (a tip would be to 'google' for 'flower template'). 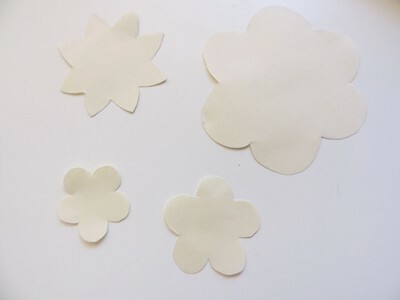 After printing, cut the flower template. 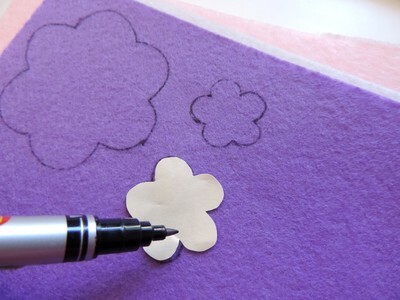 Using the flower shapes as stencil, mark around the felt paper and go ahead and cut. 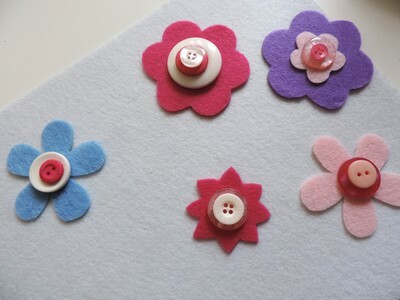 Make a selection or combination of felt flower cuttings and buttons and put aside. 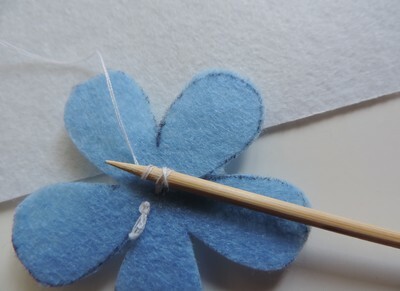 To make flowers, insert string in the needle and make a knot. 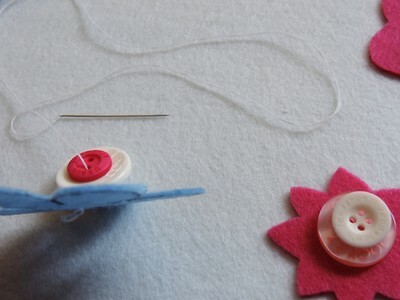 Starting from the back, pull string in, going through the buttons and out around the stick and repeat process until the button are securely attached to the stick. 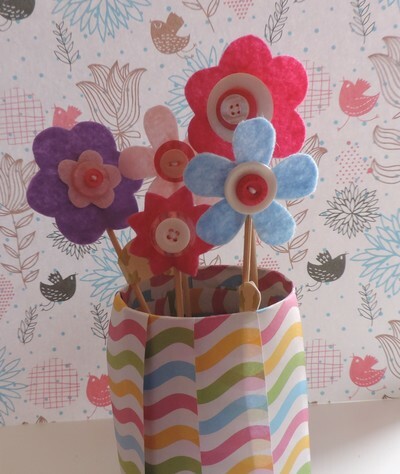 Put in a vase or a mason jar.